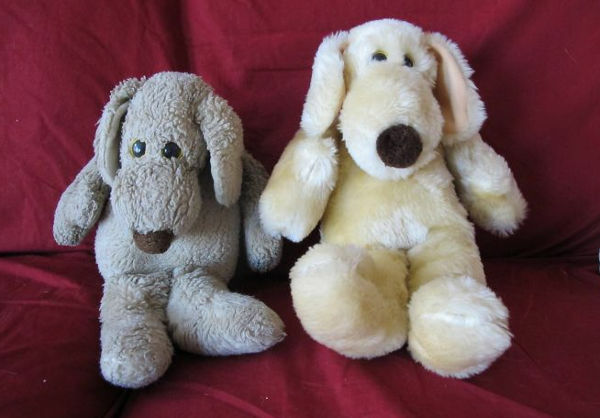 The adorable childhood soft toy idea to steal for your kids... and grandkids! 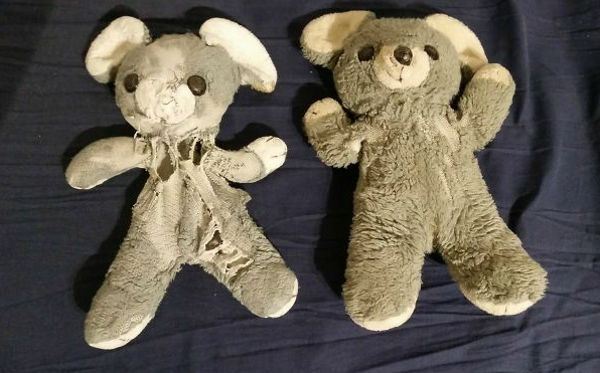 The adorable childhood soft toy idea to steal for your kids… and grandkids! If you have a baby on the way, or very small children, you need to do this for them, and your future grandchildren. It’s a beautiful idea – I wish I’d thought of this when my kids were born! 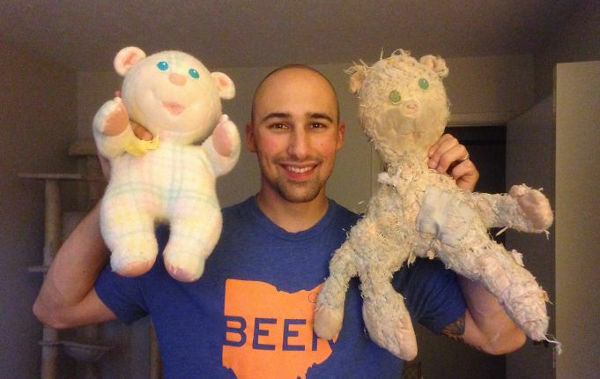 “When my brother was born in 1985, my mother purchased two identical teddy bears. 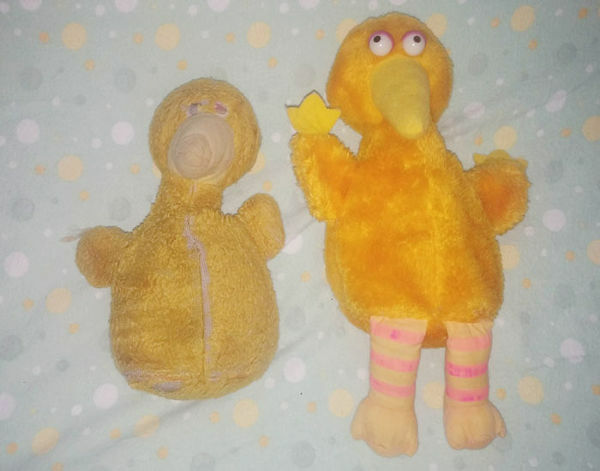 The one on the left has been my brother’s for 30 years, the one on the right has been kept in storage for my brother’s first child who was born today”. 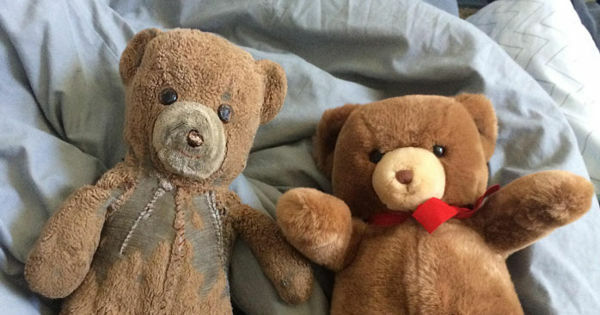 The brother says the teddy had “been on many vacations, gotten soaked in pool water time and time again, and got lost on a theme park ride at Disney World. It has certainly seen a lot”. Bored Panda then invited readers to submit their own identical childhood teddies images. These belong to twin brothers born in 1992, one of which has been wheelchair bound since childhood. 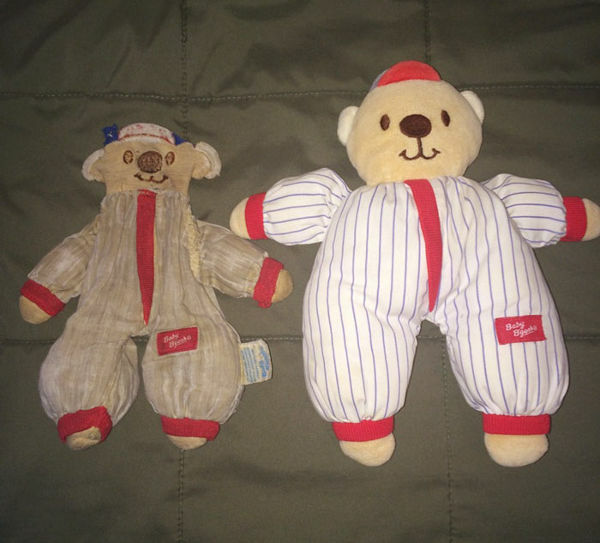 A much-loved 33 year-old friend and a new version purchased by the owner’s pop for the owner’s new baby son. 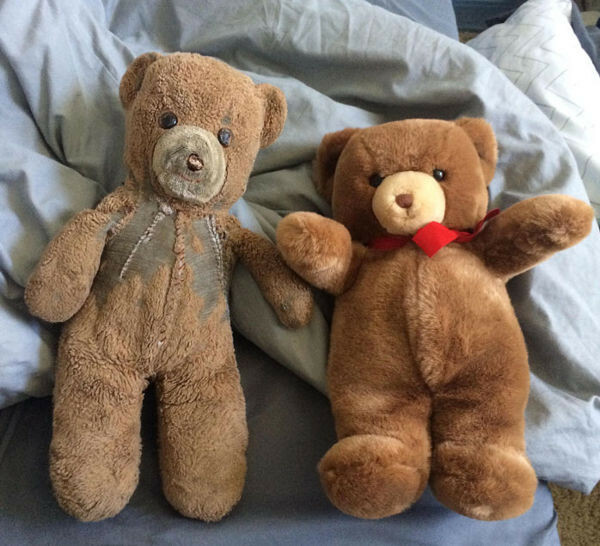 A proud teddy owner with his childhood buddy, and a much newer version. Another demonstration of teddy love spanning many years. What do you think of this adorable idea? Would you like to do it for your children?